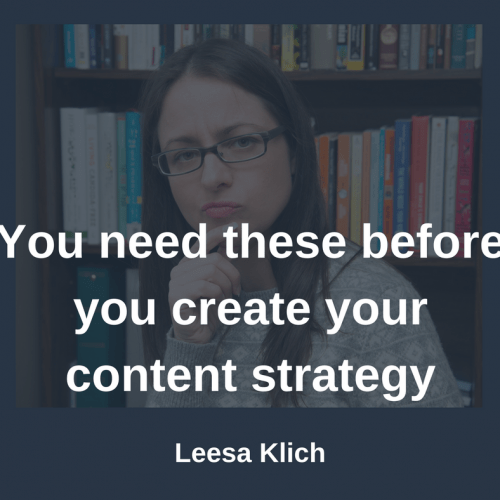 You need these before you create your content strategy. Are you ready to create (and execute) a content strategy? Signing off and toasting: To being prepared to rock your wellness biz with a clear foundation for your content strategy! The honest truth of the matter is that your content strategy (or content marketing strategy) is not your entire business strategy. You need certain fundamental business items in place before you can design a great credibility and business-building content strategy. NOTE: I’m not talking editorial calendars here, just straight up strategy. Your content strategy is your long-term vision for your content marketing. It incorporates your mission, vision, niche, target market, and how you help them. On the other hand, your editorial calendar maps out topics, types, formats, and categories of content for every week (or however often you publish) a few months at a time. If you want more info on the actual difference between the two I break it down here with the difference between content strategy and editorial calendar here. So, what the heck are these foundational things you need before your content strategy? In other words, how do you know if you’re ready to create (and execute) a content strategy? Your business blog/vlog/podcast starts with your business. It’s not a hobby blog or an online journal (although you most certainly can have these! ), it’s a business blog. Its main function is for content marketing for your business. #amirite? Once these are clear, you have a direction to base a content strategy on. How can you ensure your content messaging is clear, and targeting the people who you want to work with? You need a direction. And that’s the purpose of your content strategy. There is a reason you started the business you did. You know why you studied those specific modalities and these are the ways you help people. I am on a mission to help wellness practitioners get the right information to pass on to their clients and audience to build their businesses and improve public health on an epic scale. I help practitioners ramp up their blog content and credibility to build their businesses and improve public health on an epic scale. My vision is to improve public health on an epic scale. I want online health information to be credible and correct. I want the general public to find the right information for their health goals so that they can reach them en masse. I want people to not get caught up in fake controversies or over-hyped new studies. So, how do I do this? 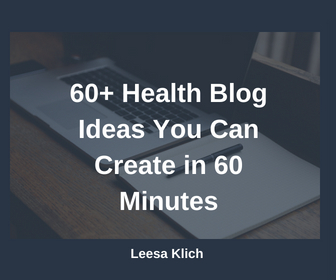 By helping wellness practitioners get the right information for their blogs. By boosting their credibility with solid research, and in turn, grow their businesses so they can reach more of the general public en masse. I help with the research, writing, and strategy for health blogs, vlogs, and podcasts. That’s how I execute my vision. That’s my mission. Having a concrete vision and mission direct what information you will publish on your blog, vlog, or podcast. The second thing you need to have a pretty good grasp of before you create your content strategy is your niche. Your niche includes who you help and what you help them with. For me, I help wellness practitioners. That includes holistic nutritionists and consultants, fitness professionals, naturopaths, etc. What do I help them with? Credibility and content. I help to boost credibility with high-quality well-researched health articles. I also find and sort through research for those who want to create the content themselves, but don’t love PubMed as much as I do. Plus, I help strategize blog, vlog, and podcast content to help grow their audiences, subscribers, leads, and sales. When you have a clear vision, mission and niche (including who you help and how you help them), you’re set! You’ll be able to pull in those pieces to create a long-term vision for your content marketing. This strategy is the statement you’ll refer back to before you spend time creating any pieces of content to make sure you’re on brand and speaking to your target market. With all of these in mind, you can go ahead and create your content strategy. With a few foundational business pieces in place, you’ll be ready to create a long-term strategy for your blog, vlog, or podcast content to build your audience, email subscribers, and ultimately, customers and clients. What do you think? Do you have the pieces in place to create your content strategy? Are you clear on your vision and mission? Do you have a clear niche where you know exactly who you help and what you help them with? Have you checked out the resources I’ve recommended to help get you there? If you have these foundational pieces in place, do you have a content strategy? Do you have an up-to-date editorial calendar that supports your strategy? Do you want them?